I’ve made my pesto so now I’m ready for the winter! The volume of vegetables I harvest is not large enough for me to store for the winter, however making and storing pesto has become a yearly tradition. It’s interesting how basil pesto has become a staple in my home when in fact it’s not something we made or ate when I was a kid. 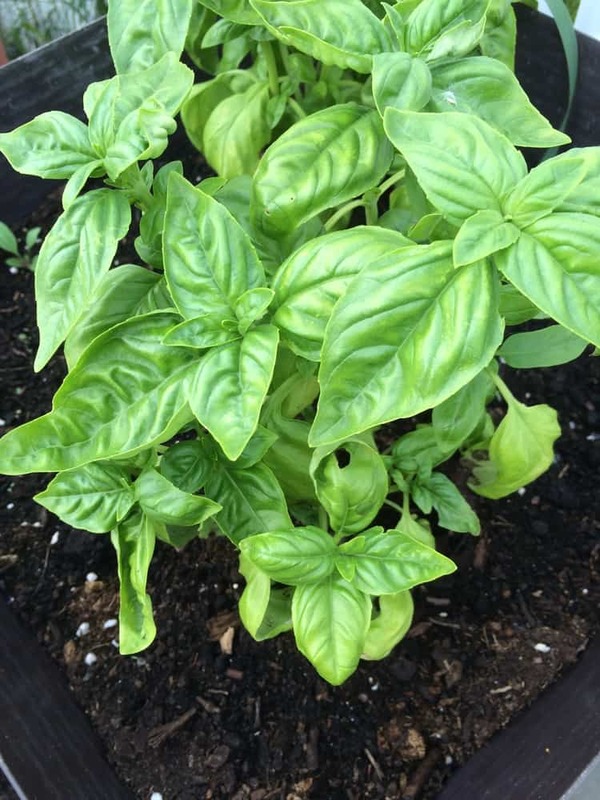 Basil was a herb that we used to place in our tomato sauce jars each September and occasionally as a garnish. I really can’t remember when I first tried pesto but I know that I began making it once I had my own garden. 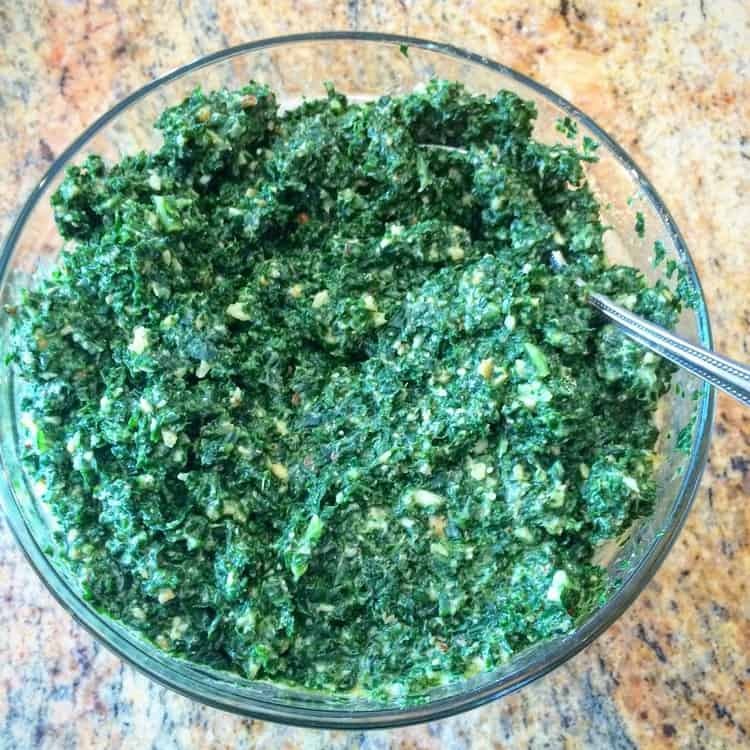 We all know that basil pesto is wonderful with pasta but I also use it to brighten up the flavor of soups, slathered on a pizza crust or crostini or as a stuffing for chicken breasts. Pasta with pesto has become my go-to lunch for the kids when there are no other leftovers in the fridge. I’ll boil pasta for their lunch first thing in the morning and stir in a container of pesto that I’ve taken out of the freezer, and voilà lunch is ready! Pesto is easy to make and keeps well stored in the freezer for months. Eventually, usually around springtime we’ll unfortunately run out of pesto and we’ll actually resort to buying a jar at the grocery store (horrors!) only to regret it once we’ve tasted it. Then I vow to make more the following summer. Unfortunately, this year my basil plants were not the most productive and I only managed to make about a dozen containers of pesto. So, I resorted to buying a bushel of fresh basil at a local market and I now have 52 containers of pesto. 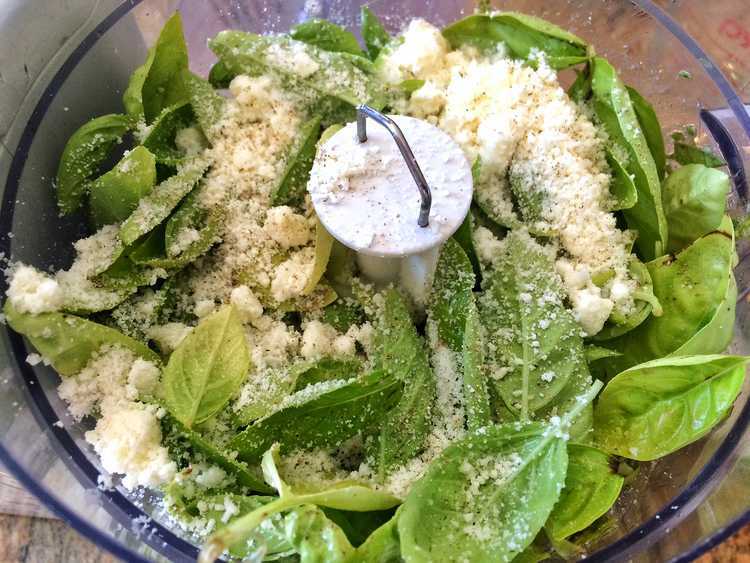 Of course, pesto can be made with so many other ingredients other than basil. 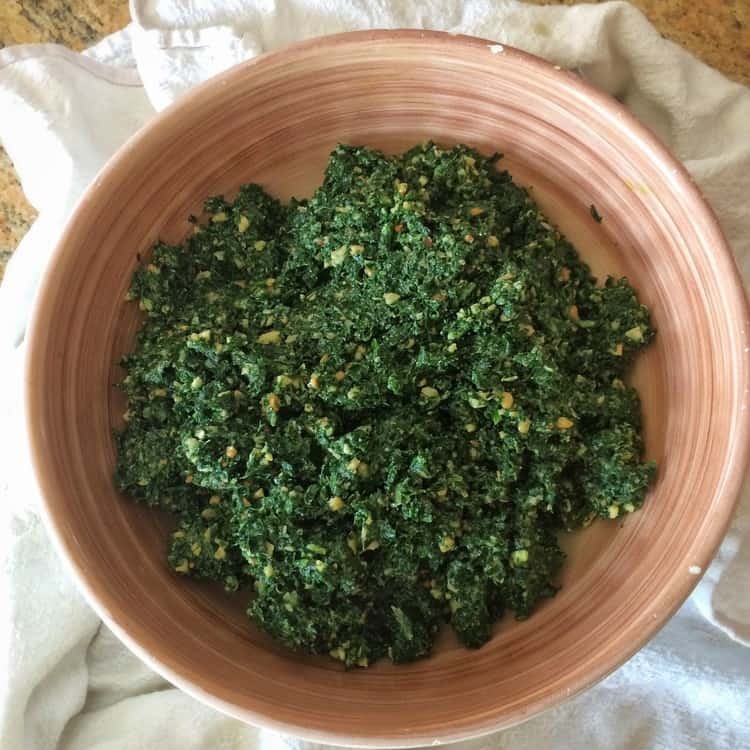 Since I needed a way to use up the endless supply of kale growing in my garden this year, I decided to try kale pesto. 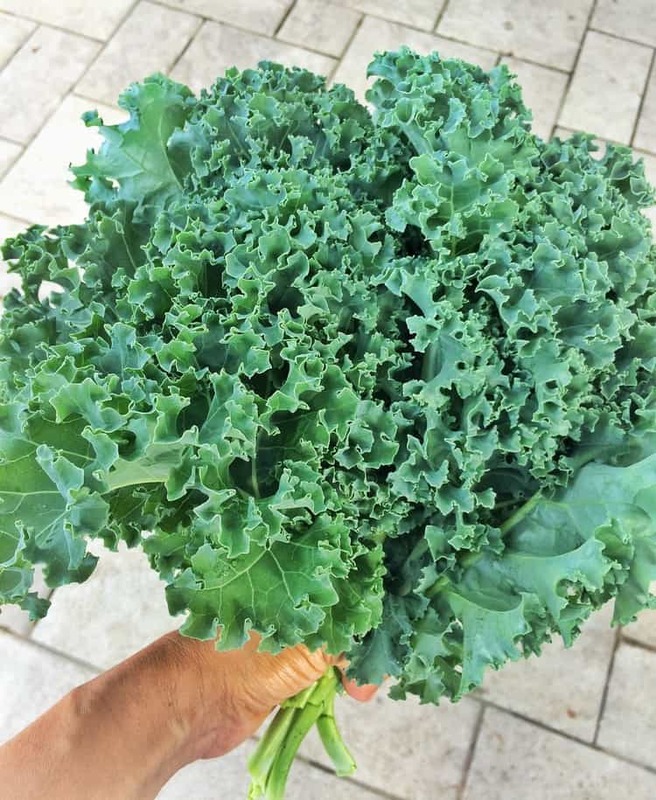 This is the first year I planted kale and I have six plants that are growing out of control. I can swear that each time I pick a bunch, the following day it has all grown back! So, I’ve had to become creative with kale recipes. I don’t mind at all. Actually I love being challenged with finding new ways to cook up my produce. I was a bit skeptical about kale pesto, fearing that my critics would object. After all, kale does not have that wonderful fragrance that basil does. 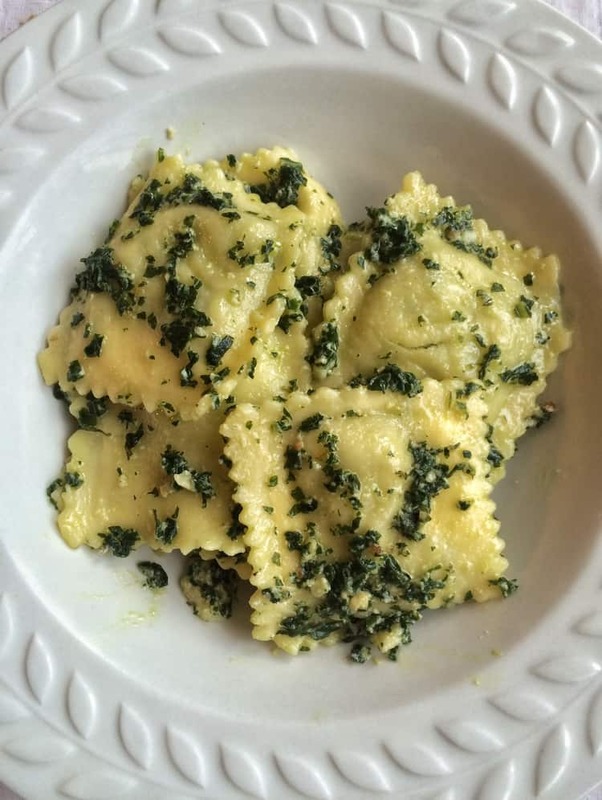 By adding roasted walnuts, the usual garlic and parmesan cheese, as well as freshly squeezed lemon juice at the end which brightens up the flavor, it’s actually quite good! 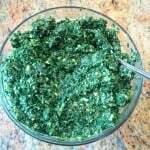 Thankfully my critics agreed and I was able to go into mass production of kale pesto. The only down side is that with the walnuts in it, I won’t be able to give it to my daughter for her school lunches. No problem, the basil pesto is abundant. And now, I’ll never run out of pesto again! Making pesto is a must each summer. I make enough to store in small containers to last the year! 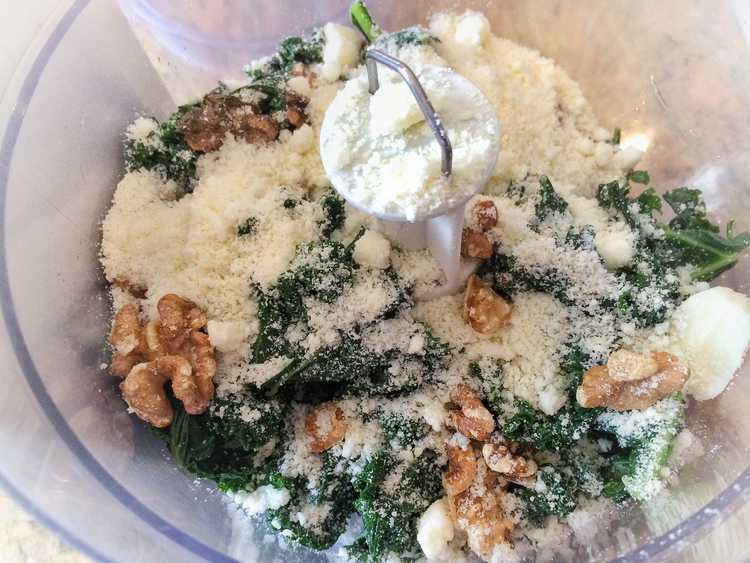 Place all ingredients in the bowl of your food processor. Pulse until finely chopped, but not puréed. 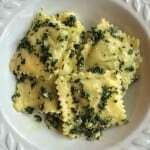 Place pesto in an ice cube tray or other small containers with lids and freeze. 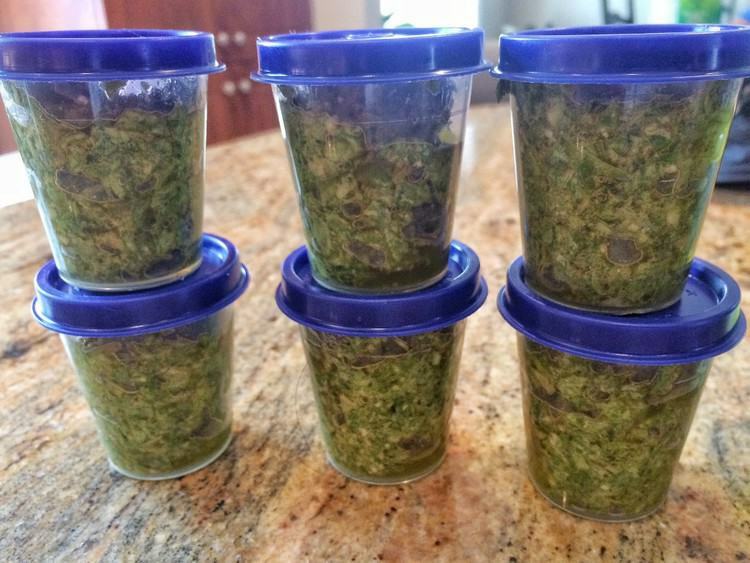 If using an ice cube tray, once frozen, transfer the pesto to freezer bags. Making pesto with kale is a great alternative to the traditional basil pesto. 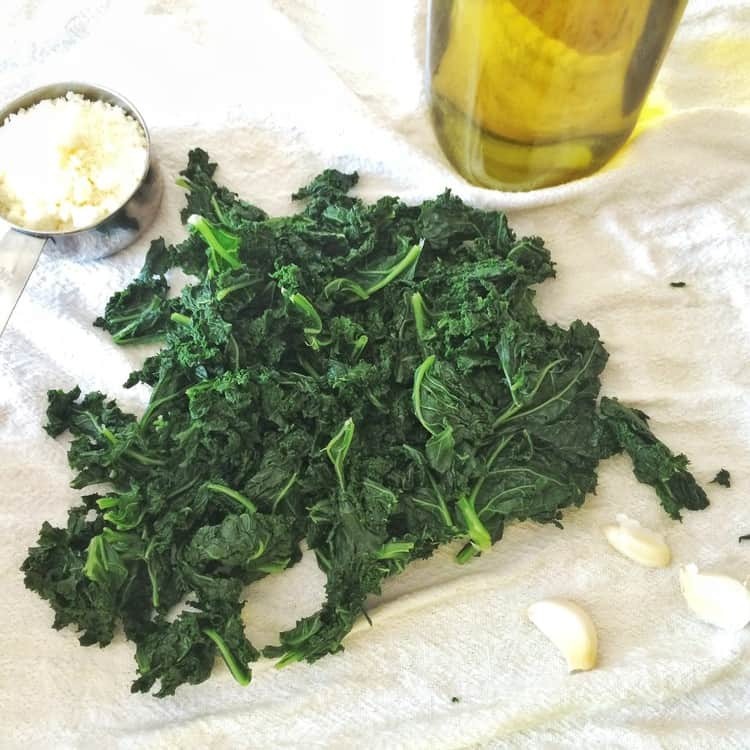 In a large pot of boiling salted water, blanch kale for 1 minute and drain. Place in a bowl of ice water to stop the cooking process; drain and pat dry. In a food processor, pulse together kale, walnuts, Parmesan cheese and garlic until coarsely ground. Pulse in oil, lemon juice, salt and pepper until smooth. Store using same method as in basil pesto.